OMG, I still can’t believe it and please cross your fingers that everything is going to work out – I hope to become a “mum” to one of these cute puppies! They are almost 4 weeks old and will turn into pretty Hungarian vizslas. I grew up around dogs and always loved them, truly am a dog crazy person. However, due to limited time in the past years, I always decided against one as I thought it’s unfair if I am not around the entire day, especially during the first and so important puppy months. I turned into a hermit, the only time I leave the house is if I really have to and the really bad Amsterdam fall/ winter season didn’t even start yet. You might think it’s nice and relaxing to have some time off and chill at home but believe me, it’s not. I am so bored that I can’t even focus on a movie or book, days just pass by. A dog has been my biggest wish for so long and is even more important since this MS stuff started. To me, it’s like a fitness trainer, physiotherapist and psychologist. I would finally have a reason to not only leave the house, but also to do the daily walks I am supposed to do. Fresh air and sunshine to get my much needed Vitamin D ( ok, forget about that as it’s Amsterdam after all ). My days would be more structured again if I get a puppy as it needs all of my attention and I would have hardly any time to worry about other things. Forget Cesar – Anja is coming! Gosh, I am so excited and hope to get a little female puppy. Spoke to the breeder yesterday and had email exchange since to answer my questions etc. 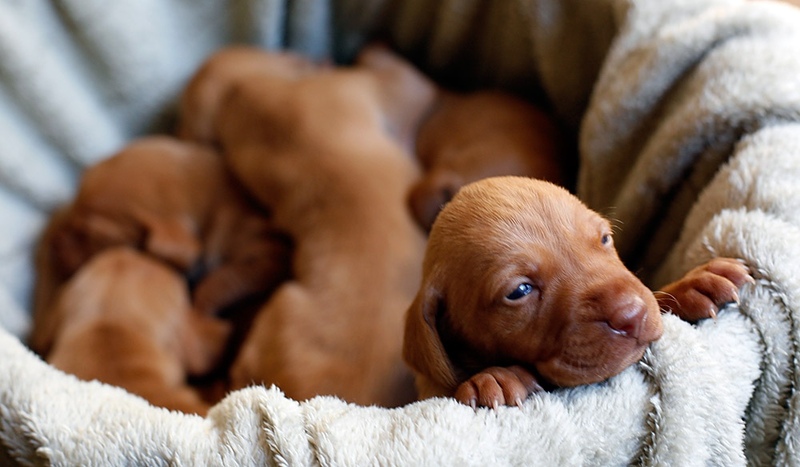 Unfortunately there seems to be quite a “demand” for vizsla puppies and I am not sure how many potential owners are on his list – but after all I have been through it would only be fair if I get one, don’t you think? Hello@destiny! I can’t even put it into words how much it would mean to me but I can tell you, I cried all morning watching YouTube videos about “puppy surprises”. Same yesterday. I must have watched all dog surprise and vizsla videos out there. Could cry right now again just thinking of it…. Red wine time or I won’t sleep AGAIN for the third night in a row. UPDATE : The nice breeder couple just contacted me and I will get one 🙂 5 weeks until puppy time, I better start preparing NOW! Hope it will all work out as planned. So so happy!